Lately life’s demands have gotten in the way of the truly important things. So, despite having finally gotten the new lens I’ve been trying to buy since Christmas, I’ve been at home moving furniture for the floor installers, watching workers lay floor, removing toilets from bathrooms, restoring toilets including installing new shut-off valves, and moving furniture to the other side of the house so that workers can finish their work. The only birding I’ve managed is virtual birding, sitting in front of my computer sorting through pictures I’ve recently taken, and I’m quickly nearing having published all the shots worth showing. 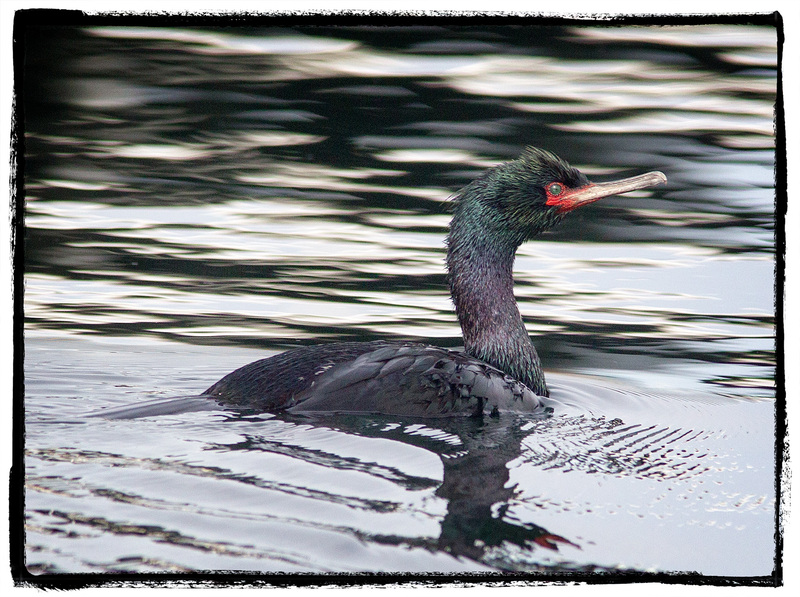 Luckily, I got some great shots of this Pelagic Cormorant in my last visit to Port Orchard Marina. In fact, it almost seemed like it trying to make sure that I captured it’s breeding plumage beauty from every possible angle. 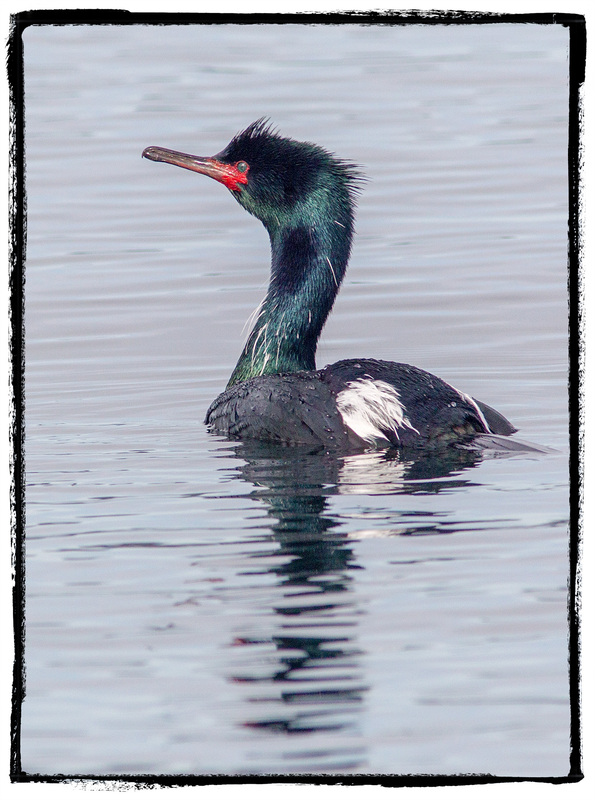 I’ve never gotten close enough to a Pelagic Cormorant to see the white feathers on the neck. As much as I enjoy working with photographs on my computer, I’m past ready to get back out there, at least if the weather will cooperate and provide a little sunshine. Unfortunately, we’re still waiting for the bathroom cabinet and countertop we ordered to come in, so there are several other days I’ll have to be home this month. As soon as they are cleared up, though, I plan on spending several days at the Ocean as the shorebirds migrate north, followed by a week at Malheur. Great shots – What lens did you get? I got the new 100-400mm lens. It has image stabilization, plus I was tired of carrying two cameras and lenses or just missing a lot of shots. Neat – I was having a hell of a time trying to carry my 150-500 around along with the regular lens – damn things a bazooka 🙂 It doesn’t fit in my camera bag so I was lugging it around in its own case. As a result I wasn’t really taking it with me. Finally looked around the house and found a backpack I had bought for my laptop that works just great, good padding – lots of places to put accessories etc. Yes, I have a very expensive 500mm lens that gets very little use. I mainly use it when I visit refuges that require you to stay in your car. Ah, the joys of remodeling. Lovely pics. 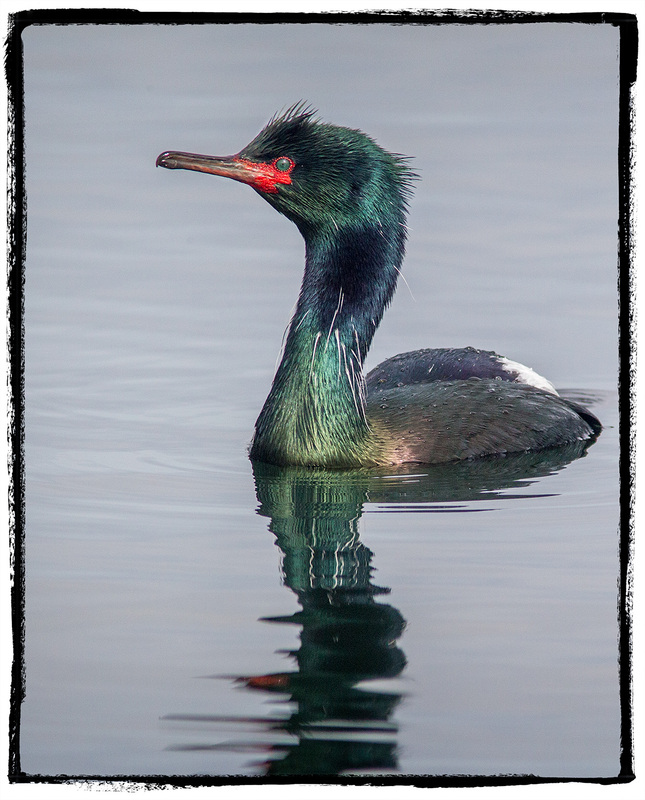 Great shots of the cormorant. 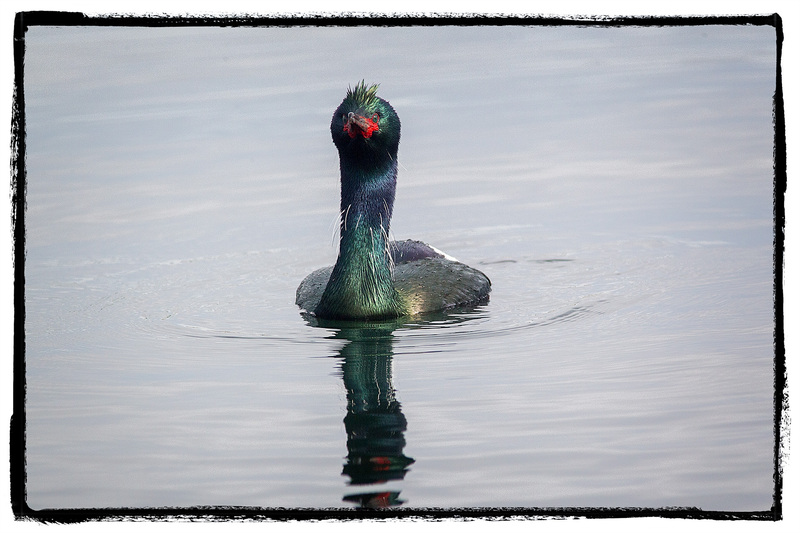 It always surprises me how much color there really is in a bird that looks distinctly black from a distance. Quite beautiful. Good luck with the remodel, and I hope you do get out to the coast soon. I’m looking at your blog entries and envying how close you live to the ocean, robin.